An allegation of child abuse at a West Valley Southwest Key facility involved an employee who dragged a girl by her leg to her to bed, according to a Maricopa County Sheriff’s Office incident report obtained by the Arizona Mirror. The federal government suspended operations at that shelter the day after MCSO responded to the facility. MCSO said the employee didn’t commit a criminal offense. The incident was one of several in September involving three migrant children and physical abuse allegations by staff members at the Youngtown location, the U.S. Department of Health and Human Services – which oversees the contracts with shelters to hold migrant children – said in an October statement. All Southwest Key employees involved in the incidents were fired, HHS said. The federal agency shut down the facility on Sept. 28 after all the children were transferred to other shelters. Southwest Key nearly lost all of its licenses to operate in Arizona after it failed to provide evidence it had current and adequate background checks for its employees, as required by state law. Several media reports also showed a history of sexual abuse and misconduct at its shelters. Southwest Key reached a settlement with the Arizona Department of Health Services on Oct. 24, and the operator surrendered two of its 13 licences in the state for the Youngtown shelter and one in central Phoenix. The company already paid the $73,000 civil penalty to the state under the terms of the settlement, according to company spokesman Jeff Eller. On Sept. 17, MCSO responded to a report of child abuse at the Youngtown shelter, involving an employee who had dragged a seven-year-old girl to her bed, in violation of shelter policy, the report said. That incident happened three days earlier, on Sept. 14 at around 10 p.m., the report said. MCSO spoke to a shelter manager and reviewed surveillance video of the incident, but didn’t speak to the minor or the employee, the report said. The MCSO deputy said the video showed the girl, who refused to go to bed, as “disruptive and disorderly,” kicking and flailing her arms and legs to resist the employee taking her to bed. The officer concluded no criminal act had occurred. The Youngtown facility was licensed to hold 139 children, according to Eller. 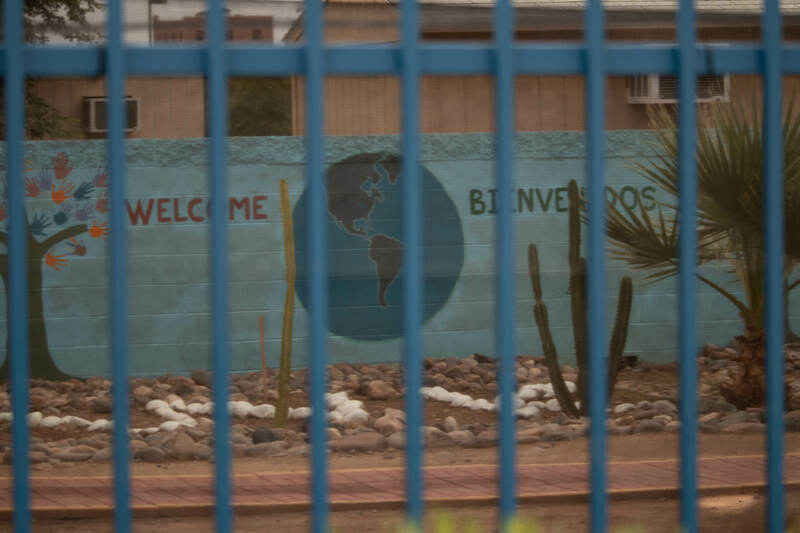 Southwest Key has the capacity to hold nearly 5,600 migrant children in Arizona, Texas and California. The organization was in the national spotlight this summer due to news coverage of migrant children who were forcibly separated from their parents under the Trump administration’s zero-tolerance policy of prosecuting migrants at the border, many who traveled to the U.S. to seek asylum. Seven year old against adult. Wow, I wonder why the adult didn’t simply carry the child to bed? How about calming the child down first???? MCSO needs some training on child abuse. In schools we can’t even touch them unless we know where we can properly place our hands!